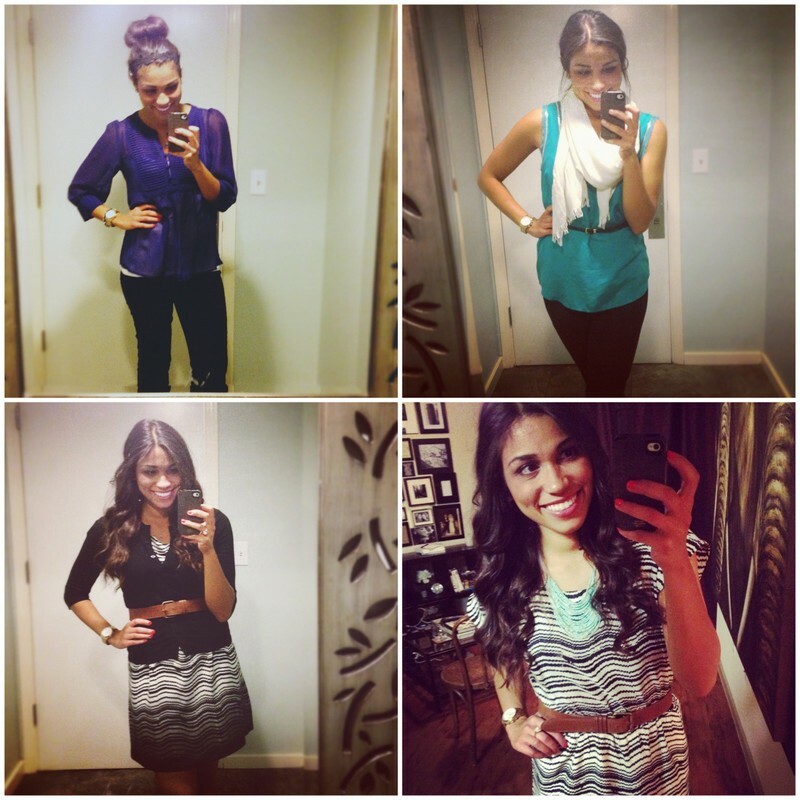 Taking a break from New Orleans recapping to share this week's Powder Room Fashionista photos! This was a wonderful week full of catching up with friends, life prioritizing, and trying to get a better handle of where I want my next steps in life to take me. No real decisions made, but at least I'm thinking about it. This Sunday I'm so excited to be joining my friend & super talented photographer, Sarah, of Arrow & Apple, at the Phoenix Bridal Expo! If you haven't seen the photos from this incredible wedding, you've been living under a rock and may as well stop looking at blogs all together. Only joking. (not really.) We'll be at the Arrow & Apple booth, and I'll be acting as part assistant, part body guard trying to keep the brides from totally attacking Sarah. She's that good! Tweet us at @kthornhill or @arrowandapple if you're coming to the show, and come say hi! Outfits four & five was a work to happy hour remix.